In earlier articles in this series we addressed the main thing that makes arbitration expensive: discovery. We then suggested some strategies for balancing the need for information with the expense of getting it. We are now going to move on to another area of expense in arbitration: motions. 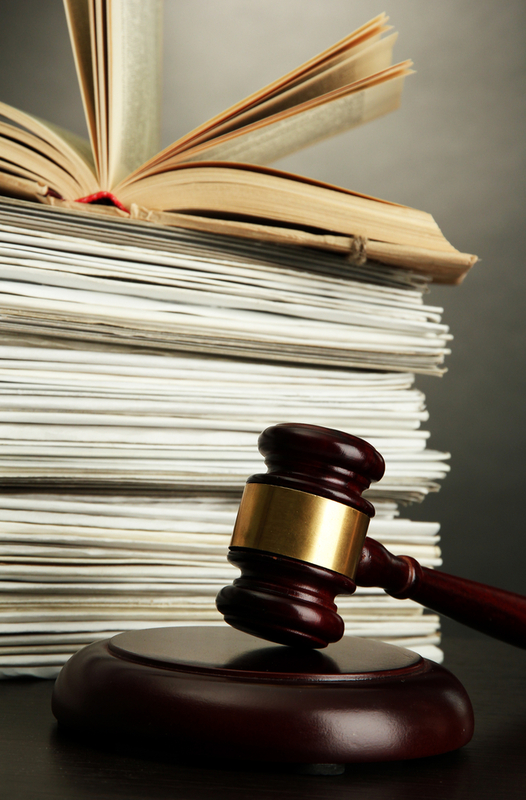 It seems as though civil litigation has become an endless series of motions. First, comes a motion to dismiss, now more viable in light of heightened pleadings requirements imposed in Bell Atl. Corp. v.Twombly, 550 U.S. 544, 579 (2007) and cases following it. Next comes a series of discovery motions. These are likely to become even more common as the courts work through the new “proportionality” analysis put in place by recent amendments to the Federal Rules of Civil Procedure. Then come the summary judgment motions, where the Court has a “trial on paper” to see whether all or part of the case can be knocked out or established. These will be followed in many cases by Daubert motions where experts’ opinions and methods are challenged, possibly leading to a failure of an element of proof for one party or another. Although that usually doesn’t happen. Then come motions in limine followed by a trial, with other evidentiary and procedural motions during trial. After a verdict, there will be more motions seeking to knock out the verdict or parts of it. No wonder trials are so expensive. Motions require lots of work by the lawyers and lots of effort by the court. So it is tempting to “just say no” to motions. They often do little to move things forward, take up quite a bit of time, and are very expensive. Let’s just get to the merits, some say. But what about those cases where the claimant just doesn’t have a claim or the respondent really has no defense? They may be rare. But it would be a tremendous waste to go through a lengthy hearing on the merits only to have the arbitrator conclude that the claim fails as a matter of law, is barred by a statute of limitations, or something of that sort. So the possibility of some sort of motions in arbitration shouldn’t just be dismissed out of hand. Certain types of motions appear problematic in arbitration. Take a motion to dismiss for failure to state a claim. The general standard under the Federal Rules of Civil Procedure is whether the complaint contains “enough facts to state a claim to relief that is plausible on its face” and contains facts with enough specificity to “raise a right to relief above the speculative level.” Bell Atl. Corp. v.Twombly, 550 U.S. 544, 579, 555 (2007). But arbitration demands aren’t subject to the same pleadings standards as complaints under the Federal Rules. For example, an arbitration is commenced under AAA rules by the claimant filing a demand for arbitration which must contain names and addresses of the parties, a statement setting forth the nature of the claim including the relief sought and the amount involved. AAA Commercial Rule 4(e). There is no further pleading requirement and no other standard to measure the “pleading” against. And, while arbitrators have the power to exclude irrelevant evidence, it is still one of the grounds for overturning the award that the arbitrator refused “ to hear evidence pertinent and material to the controversy . . .” 9 U.S.C. § 10. A party who is foreclosed by a dismissal on the “pleadings” – whatever those would be in an arbitration – before there is even a hearing is likely to be convinced it was not afforded a reasonable opportunity to present evidence. A motion for summary judgment raises similar concerns. Again, Rule 56 of the Federal Rules of Civil Procedure provide some fairly detailed guidance on the evidence to be considered on a motion for summary judgment, what the standard for granting the motion is, and the like. There are no such rules in arbitration,. But the AAA Commercial rules do now explicitly allow for “dispositive motions.” R-33. The key to all this, like many things in arbitration, is to do a careful cost/benefit analysis. In fact, AAA Rule 33 requires the arbitrator to do that before he or she allows a dispositive motion. The arbitrator may only allow a party to file a dispositive motion if it can first show “the motion is likely to succeed and dispose of or narrow issues in the case.” Thus, the real issue is whether a party has or can develop facts to support a claim or defense so there is any point in having a hearing. A party could well support or oppose such a motion with affidavits and documents, just as one would in court. Of course, it may well be that a party has a reasonable basis to believe it can prove certain facts, but will need a chance to review the opposing parties’ documents or other information before doing so. The arbitrator must then “ manage any necessary exchange of information among the parties with a view to achieving an efficient and economical resolution of the dispute, while at the same time promoting equality of treatment and safeguarding each party’s opportunity to fairly present its claims and defenses,” as AAA Commercial Rule 22 requires. Thus, before entertaining a motion to dismiss or for summary judgment of a claim or the whole case, the arbitrator must be sure the parties had adequate information available to fairly present claims and defenses. Putting it all together, then, before entertaining a motion to dismiss the arbitrator needs the moving party to make a showing that such a motion could actually increase the efficiency of the proceedings. Similarly, depending on the case, the arbitrator will need to be sure the party opposing the motion has had sufficient access to necessary information to address such a motion. While there can be room for disagreement on these issues, requiring consideration of them before allowing a motion assures that expensive motions aren’t just filed willy nilly, unnecessarily increasing the expense of the arbitration. Thus, a motion to dismiss based on an applicable statute of limitations, particularly where there are no underlying factual disputes, could be a good candidate. Similarly a motion to dismiss a claim because it is not recognized under applicable law is another good candidate. Similarly, a motion based on undisputed facts that establish a right to relief, rare as that may be, could be a good candidate. Motions that are likely to have underlying factual disputes won’t be good candidates. The point is to “do the math.” Does undertaking the expense of the proposed motion likely to add up to more efficiency or not? If so, the motion should go forward. If not, just move on to the hearing on the merits. Generally, I have found that the possibility of a motion often comes up at the preliminary scheduling conference. As often as not, both parties will recognize that it is a good idea to get a legal issue that could determine the outcome of the matter decided before spending time and money on the other aspects of the case. The parties then can focus on exchanges of information and positions efficiently focused on the threshold issue, often saving time and money. This entry was posted in Commercial Arbitration and tagged arbitration dispositive motions on September 28, 2015 by David Allgeyer.